An increasing number of people in the US are opening bank accounts overseas for many reasons, such as preserving money in home country, family responsibilities, and investment opportunities. 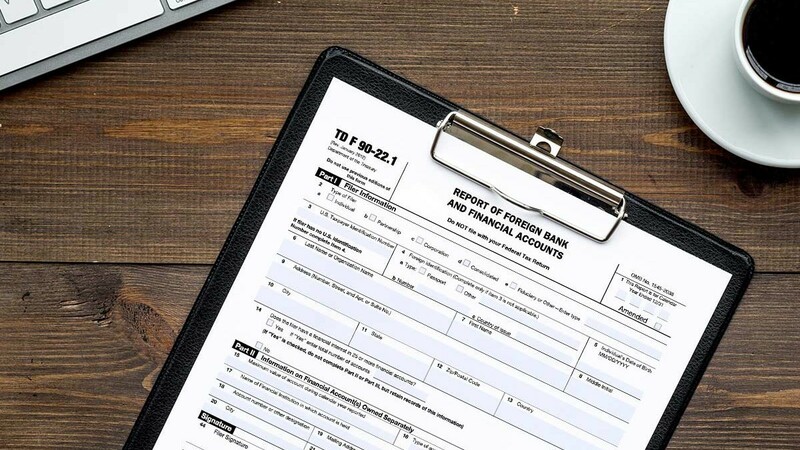 Such foreign account holders must remember that they are required to report their overseas income and bank deposits to the US government by filing a Report of Foreign Bank and Financial Accounts (FBAR). Every “United States person” who has one or more foreign bank accounts which at any point during the year reached an aggregate balance of over USD 10,000 is supposed to file a FBAR or Financial Crimes Enforcement Network (FinCEN) Form 114 electronically with the US Treasury Department, listing all foreign accounts. This has to be filed by June 30th each year. In this case, filed means received by the Department of the Treasury, not placed in the mail. Every resident and citizen of US must report income from all sources within and outside of the US. Even if your foreign bank account does not exceed USD 10,000 in a year, you must report the amount your account produces as interest. These interest payments are also taxable and will be reported to you on Form 1099 INT. Taxpayers receive this form from banks where they have savings accounts. FBAR is the Foreign Bank Account Report of “United States person.” FBAR helps IRS and Department of Treasury investigators trace funds used for illicit purposes or to identify unreported income maintained or generated abroad. Similar to a W-2, Form 1099 is a type of "information return" tax form that you will receive if you have earned certain types of income during the year. The information listed on Form 1099 must be reported on your tax return. You meet the tax home test. You meet either the bona fide residence test or the physical presence test. You cannot exclude or deduct more than your foreign earned income for the year. For 2015, the maximum foreign earned income exclusion is USD 100,800. This penalty can be waived if reasonable cause is shown for the failure. Just file 6 years' of FBARs with an explanatory letter. The IRS can also check your tax returns for the last 6 years to trace the balances reflected in the FBAR. There is no provision for requesting an extension of time to file an FBAR.